MASVINGO - Bonface Chitambwe (34) a supervisor at Flamboyant Hotel casino has died after he was attacked by two unidentified muggers on Friday evening. Chitambwe was attacked as he walked from home in Rujeko C to Flamboyant where he works. Masvingo Police Spokesperson Kudakwashe Dhewa confirmed the incident and said investigations are underway. Chitambwe is said to have sustained serious injuries in the head that led to his death. Sources said at around 830pm, Chitambwe walked to work using a footpath that passes through a bushy area between Flamboyant Hotel and Exor Service Station when two men approached him. One of the men came from the back while the other confronted him from the front. The one who was in the front demanded cash but Chitambwe had nothing on him. He then struck the deceased with an iron bar thereby causing a deep cut on the forehead. He fell on the ground and unconscious and the accused fled from the scene. At 10pm Chitambwe regained consciousness and staggered to his workplace at Flamboyant Hotel where he narrated his ordeal to a workmate, Kudakwashe Kundani who reported the case to Police. Chitambwe was taken to Masvingo Provincial Hospital but was transferred to Mpilo Hospital on Saturday after his condition deteriorated. He passed on the following day. 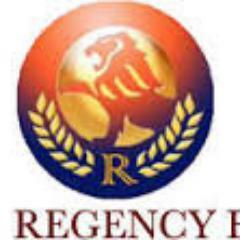 Regency director, Edison Zvobgo (Junior) said Chitambwe rented the hotel casino and he worked well with the hotel.